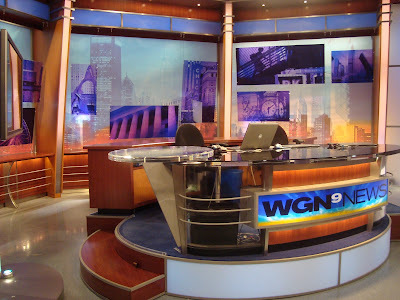 WGN Midday News with Chef Rick Bayless! How's this for a culinary adventure?!? 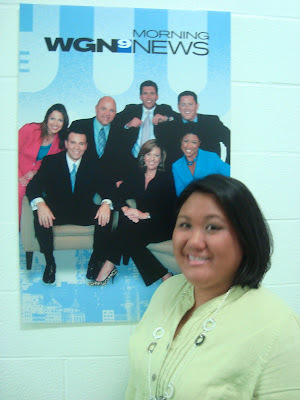 Today was an exciting day because I was featured on WGN Chicago's Midday News. 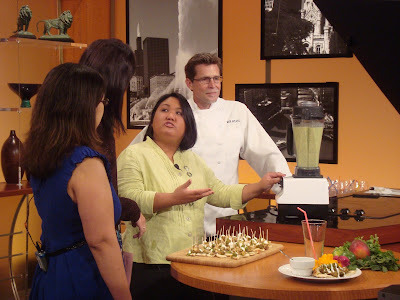 It's was a great opportunity to talk about the recent RedEye Virtual Kitchen Stadium competition I won, along with Chef Rick Bayless and RedEye Competition Chairwoman, Dorothy Hernandez. 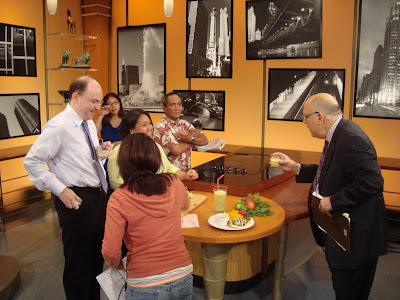 My cooking segment was towards the end of the Midday News so there were quite a few segments ahead of me, including Tom Skilling's weather report. 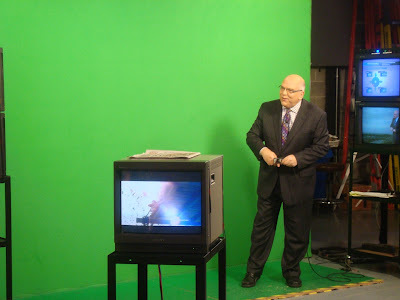 He stands in front of a huge green screen in which images behind him are only displayed when it's broadcasted. It's quite a skill to point to various parts of a green wall without seeing what city or state it is, much less what the weather front is bringing in! 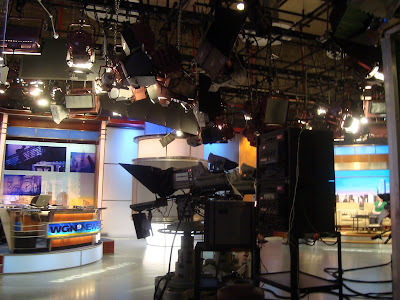 While the Midday News was filming, I was cooking and preparing my dishes... did you happen to catch the 2 "camera teasers" before the segment during the broadcast? 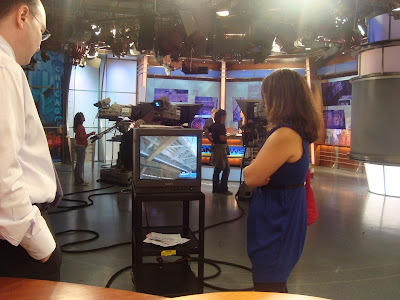 There were moments where the set had to keep quiet since the cameras were rolling and there was always someone to tell us how many minutes/seconds until air time. We had a few minutes to talk about the recipes, how our segment will go and some last minute prep. 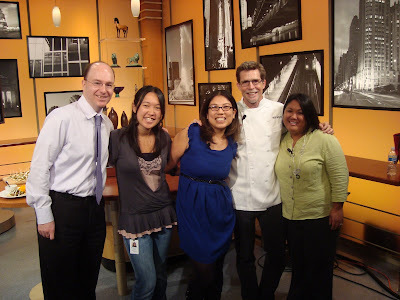 Chef Rick Bayless was extremely kind and warm. Off camera he's slightly soft spoken and just a pleasure to be around. On camera, his upbeat personality shines through his big smiles and you can certainly feel his positive energy! One thing that wasn't seen on the cooking segment was Dina and Rick trying my dish. I think it was because everyone was pretty hungry up to this point and they had to endure the great aromas from the kitchen while I was cooking and preparing. It probably wouldn't have been pretty seeing it on camera because we all devoured everything when the cameras were off. 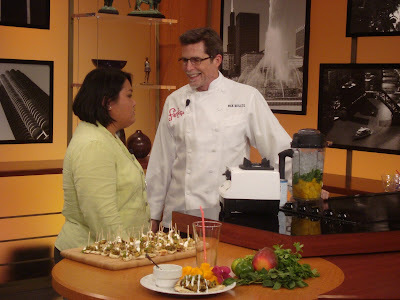 I received quite a few compliments from everyone on my dish, including Chef Rick Bayless... and it was quite an honor to not only have him review my recipes but to meet him and have him try it in person! Check out RedEye's thoughts on today's experience at their website! 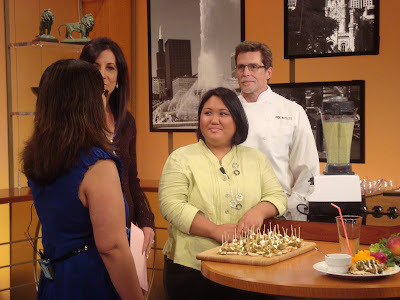 Special thanks go to the RedEye staff, especially Dorothy Hernandez for creating such a fun cooking competition and reaching out to me to participate; Chef Rick Bayless for participating as the guest judge and his time to come out and join me in the spotlight; the WGN News team and crew who made it quite a fun experience; my husband Louis for being my biggest fan and ultimate recipe taste tester; and my parents for their help, support and inspiring me to continue my culinary adventures. I watched the segment and you did so well! Congratulations! 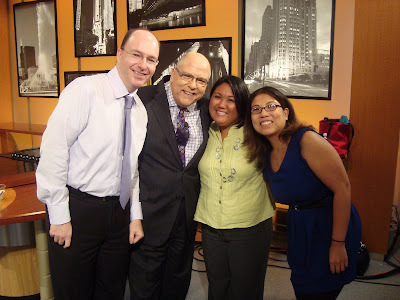 And here I was thrilled just to have met him at Blogher. I still need to post my stalking video. YAY! I watched out way out here in AZ. Way to go chica! This is awesome - congrats!! Congratulations Joelen! You were great! Although i missed your segment earlier, i'll watch it from the link you posted..
Wow, Joelen, you were terrific on TV...confident and professional! Joelen, congrats! I love him!! Nice job!! You did such a great job. I'm pretty sure I would have stumbled under all that pressure. 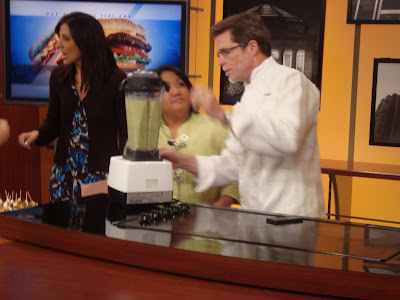 To me, Chef Rick Bayless is totally intimidating on tv. Scary!!! :[email protected] I love the picture with you and your parents. Tell them hi for me! And Louis too! How cool, you did an awesome job!! Too bad I wasn't there ... I had to teach piano lessons and meet up with my advisors to petition for graduation! I'm glad I was able to catch the news today. I thought it was a great segment and I'm glad you were able to show off a bit. Congratulations Joelen! You were fabulous, a natural in front of the camera! So impressive Joelen - and you even got your top to match the lassi - how clever are you. Rick Bayless is such a personable guy - met him at the South Beach Food and Wine and he's just a doll. You have a flair for TV - persue it - you are a natural. Yay you!! You were such a natural on camera Joelen! Great job and congrats on the win! Joelen - you were a natural in front of the camera, you absolutely glowed. I made my husband watch it with me, and he was like that's cool, and hey that's Chef Rick Bayless! I hope to see more adventures like this for you...because it's your calling in life. You rock girl! Go Joelen!! That was totally awesome!! You rocked!! Great job!! congrats Joelen!! that's amazing!! what a fun experience!! How awesome is that Joelen! You go girl! Great Job!! You looked so profession and natural!! What a fabulous opportunity! It looks like you had an amazing day! 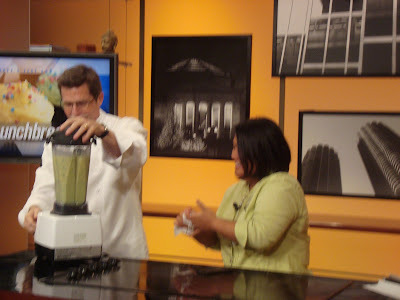 I'm not surprised that Rick Bayless is as great as you say he is; he exudes warmth.